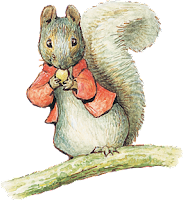 Born in London 1866, Beatrix Potter is the author of The Tale of Peter Rabbit and many other animal stories. 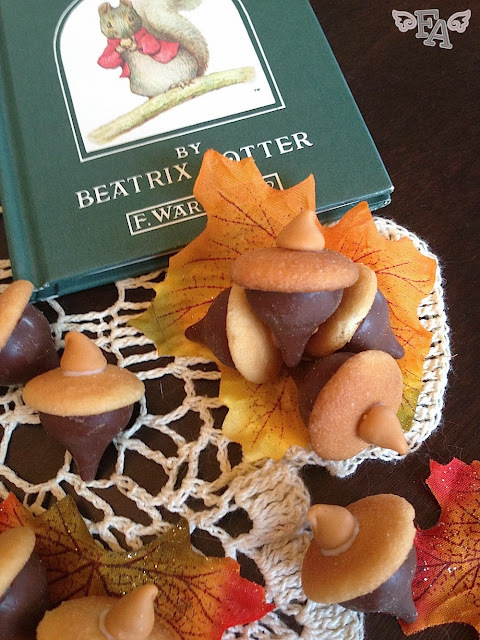 My childhood has a lot to thank Ms. Potter for. Growing up on a farm, her stories of talking animals in the woods and farmyards, going about their daily lives with mishaps thrown in, inspired, comforted, and filled me with wonder for the natural world around me. Who knew if a mouse family lived in that hole at the base of the small, old shed by the chicken coop? 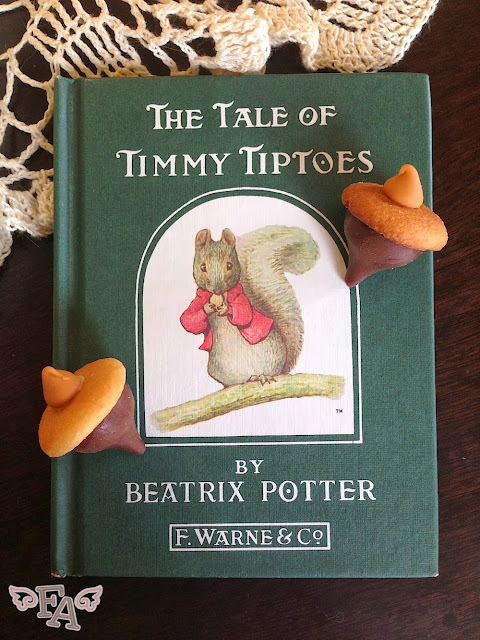 I knew because I made furniture for them out of acorns, sticks, and leaves and put it right outside the entrance, and the next day the furniture was gone! And who's to say Miss Tiggywinkle doesn't do the animals' washing? And maybe Jemima Puddleduck really did meet The Foxlike Gentleman (whom we latter find out is named Mr. Tod). And perhaps Little Pig Robinson did sail the seas and see the Owl and the Pussycat. 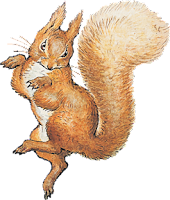 And you're all probably familiar with that mischievous Peter Rabbit who caused trouble in Mr. McGregor's garden. Did you know that Peter was real? He was Ms. Potter's pet. 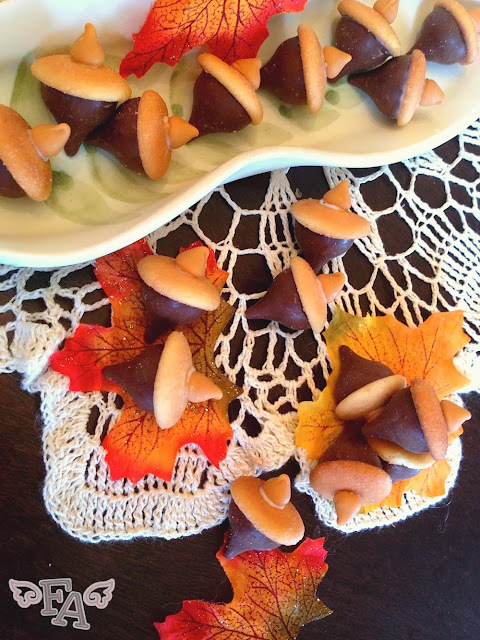 In honor of the changing seasons and childhood wonder, try these acorn kisses. Celebrate Autumn. Like a squirrel. But share, don't hoard! 1. Place the mini wafer cookies bottoms (flat side) up & squeeze a small dot of cookie icing onto their centers. Next, press the bottoms of the chocolate kisses onto the wafers & allow the icing to set for a few minutes (the cookie icing acts as glue & hardens when dry). 2. Place a tiny dab of icing on the tops of the wafers & press the peanut butter or butterscotch chips on & let the acorns set again. 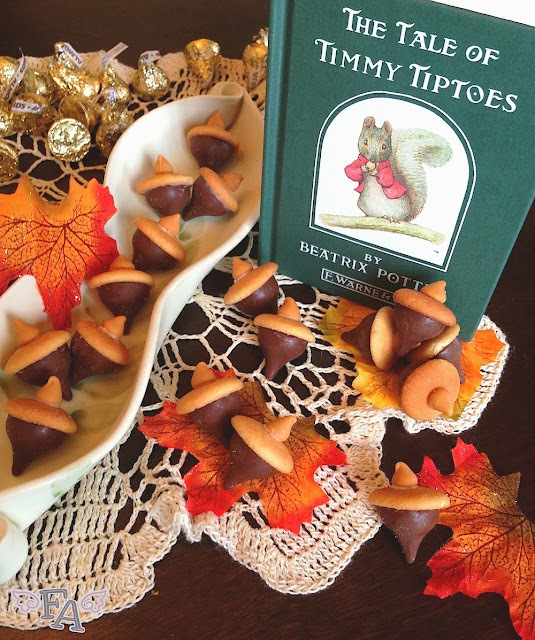 Now you have a bunch of sweet, edible acorns! 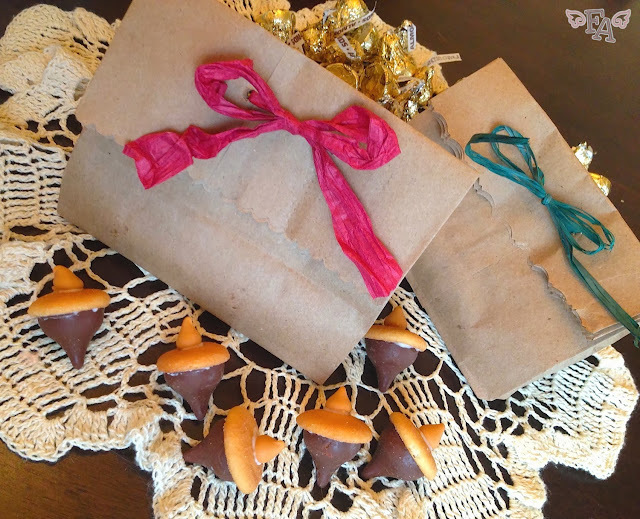 Eat all of the acorns yourself or gift some to your friends in little baggies! Store in plastic so the wafers don't get soft.